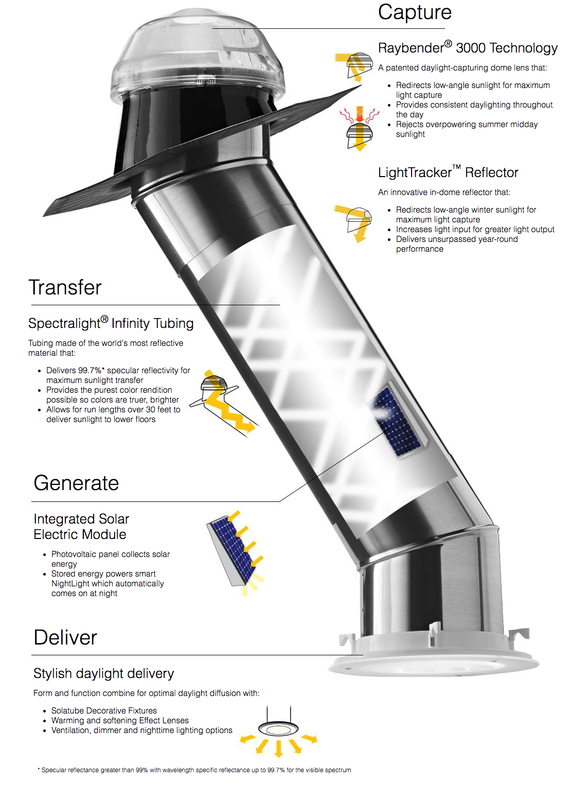 Solatube Daylighting Systems use breakthrough optical technologies to pipe pure, natural light indoors. From sunup to sundown, daylight is captured by our patented rooftop dome and transferred through the world’s most reflective tubing. The Interior-mounted solar cells panel collects store the sun’s energy to power a Smart NightLight that automatically comes on after dark. Specially designed fixture lenses then evenly disperse sunlight throughout your room, creating a beautiful, naturally lit space.